The K24 is one of several engines in Honda’s popular K-series. The series launched in 2001. The engines stand out for friction-reducing technology and electronically controlled ignition timing. All are four-stroke, four-cylinder engines. They are all made with short-block engines and sleeves made of cast iron. These engines replaced the previous B series. The K24 engine from Honda is last in the K-Series. Its production years in the US ranged from 2002 to 2014. It was used by Honda as a more advanced, efficient, and powerful engine. As with many of the company’s engines, it has a reputation for running smoothly and efficiently for a long time. In fact, cars equipped with these engines can easily reach six digits on the odometer, surpassing other brands for reliability and performance. In comparison to other Honda engines, the K24 stands out for its better exhaust flow, increased air intake flow, fortified connecting rods, and an updated crankshaft with additional counterbalanced weight. The engine is made with oversize intake valves sized 1 mm and larger and a lift lobe on the intake cam with over 12 degrees of additional duration and 0.99 mm of extra lift. Depending on the intake engine, the radius on select intake pipes was widened from 70 to 80 mm. Despite the fact that this engine is tough and long-lasting, it is not without problems. One main component on the engine that can fail is the timing chain sensor. The problem started to develop when the company switched timing belts to connect the crankshafts with the camshafts. Closing the gap of the piston by bringing it closer to the chain by a single tooth is the easiest solution to the problem, but it might not be a permanent solution. Other issues with this engine include that the camshaft can wear out easily and the idle is sometimes rough. Leaking engine oil has also been reported, which makes keeping up with regular oil changes essential to maintaining proper health of the Honda K24. Some owners have also noted hearing engine noise upon starting the car, which can signal a deterioration (and necessitate replacement) for the engine’s VTC gear. The stock power output for the engine can reach 205 HP. With the addition of a turbocharger that power increases to 400HP+. Other performance parts can increase the engine’s power potential to the upper 200s and even 300 HP. Of course, many vehicles equipped with a K24 engine stick with a naturally aspirated engine setup. For N/A vehicles, an intake, full exhaust, throttle body, and quality tune can push the engine to near 300whp. Another recommendation for modification is replacing the head of the K24 with that of the K20. The advantage of using the K20’s head is that it is built better than the one in the Honda K24. It also has higher-quality valve springs and camshafts. Modification recommendations include replacing the K24’s water pump with a K20 water pump to accommodate the new oil cooler and coolant fluid. Honda K20 vs K24: Which is Better? Production of the K20 engine precedes that of the K24. Overall, the K20-series engines are simpler and less expensive to replace. They also generally have fewer problems. The transmissions of the K20 series are better than those in the K24 family. However, K24-series engines have a larger capacity of 2.4L and provide more torque. They are easy to modify and are a great platform for enhancing sports cars, notably the Formula 3 series. 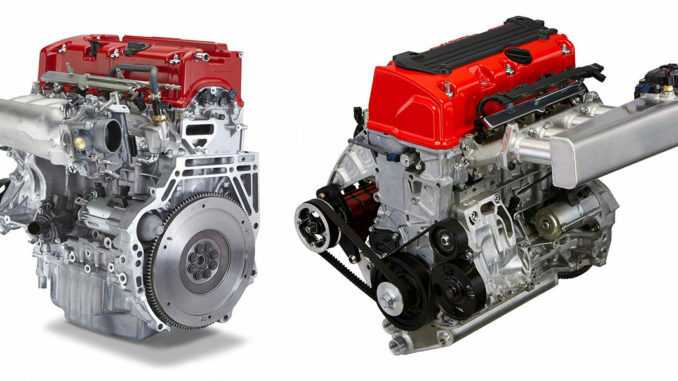 The K24-family engines are easier to modify than the K20-series and respond better to modifications. Since the K24 engines have camshafts that lack a high lift, they are better for street racing instead of regular driving when tuned. As a whole, they are better in stock form than the K20 series when tuned. Both the K20 and K24 have strengths in stock form. The K20 has slightly fewer problems, a better timing chain, and more displacement. However, the K24 offers good power output. It is a larger engine and has more torque, too. The K24 is also easier and less expensive to tune. There are a number of tuning mechanisms available for the K20, however, and it is a more common engine with more readily available parts.